Last week, on Thursday 8th we went to one of our favorite meetings. Not only because it has reached its ninth edition (only a year left for the tenth anniversary), but also because it offers a precious possibility: telling our work, visiting a wonderful space and getting to know other people who, like us, believe in reading We are talking about “Digital Readers – Dialoghi sulla lettura possibile” (Digital Readers – Dialogues on possible reading”, NdT) which took place at the Children’s Library in Rozzano. An entire afternoon full of conversations about reading, about young people and about how they interact. But above all, about understanding how these amazing protagonists are evolving in this very moment. 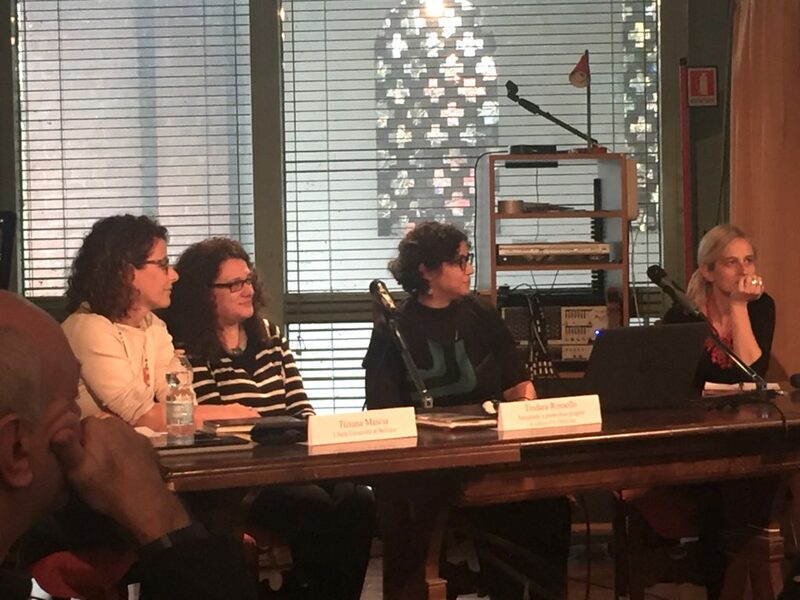 Speakers of all kind and background were able to enchant and tickle our minds: Maurizio Caminito started from his book, Biblioteca nella nuvola, so as to talk about the digitalization of reading and the need of school to better manage the new digital tools. 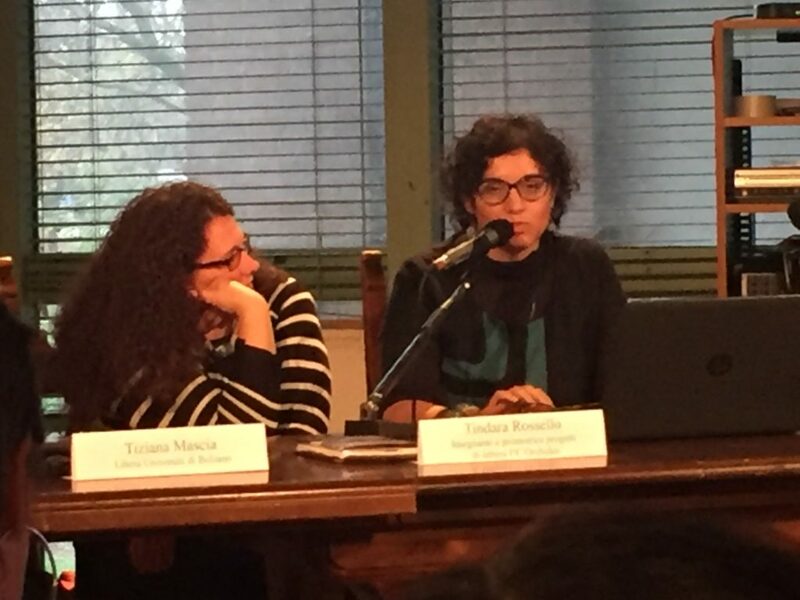 Tiziana Mascia and Tindara Rossello also spoke about the school with the moderator Gabriella Marinaccio e of how important it is to promote reading in a uniform way. After all, many young people perceive reading as an educational activity, as a homework and nota s a leisure. 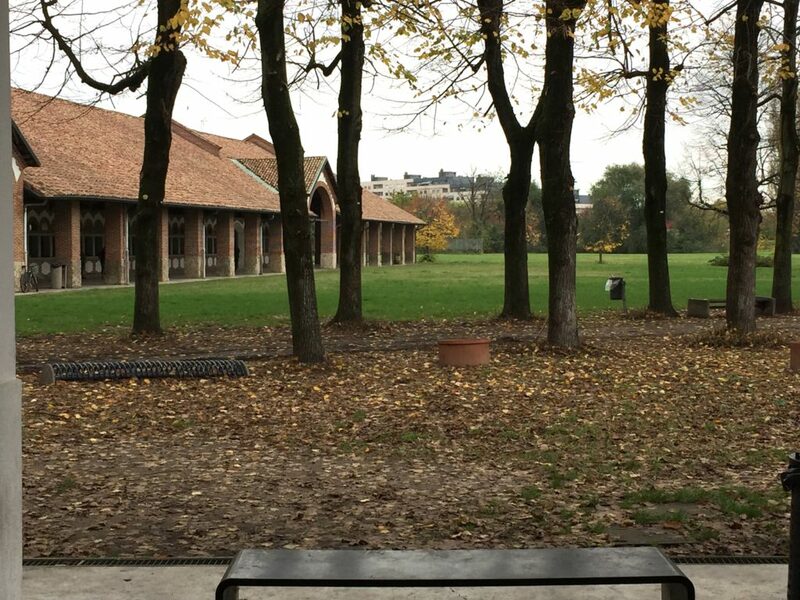 Changing this perception requires a special key that Tiziana and Tindara identifies in the library, a cell that is active in the life of the community even for non-readers. 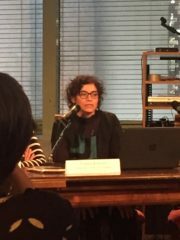 It was then the turn of Edizioni Piuma with Francesca di Martino and Benedetta Frezzotti, with Giovanna Hirsch, from Art Stories: moderated by Caterina Ramonda, a dialogue focused on digital reading and where it has arrived so far. This particular point was difficult to define because the market is never static. Actually, it changes rapidly and digital reading, like all the others, is a business that requires resources, also and above all to be updated on the latest technologies. But all this does not undermine the spirit of the creations of Piuma and Art Stories. Indeed, the desire to experiment and to create a product of quality is always the same. Above all, to create innovative products that evade the canonical literary grids of the 20th century. Ugo Guidolin moved the focus on teenagers. Nowadays they are often criticized because they are seen with a smartphone in their hand. Actually, they can be very firm and pragmatic. An international research presented a profile of the Generation Z as attentive to reality, both real and virtual, with a strong tendency to the privacy, to data protection and to the IRL relationship (rather than virtual). During the following precious intervention, Elisa Salamini, founder of Mamamò (for those who still do not know it, Mamamò is a super updated portal on the digital world for kids!) and Sandra Furlan, founder of Storytelling Italy, talked about how the contents are crossmediali , moving from one medium to another in the world of the web. The most moving and emotional moment was at the end, remembering Miriam Dubini, a talented author who died prematurely last summer. Some pages of one of her novel were read. 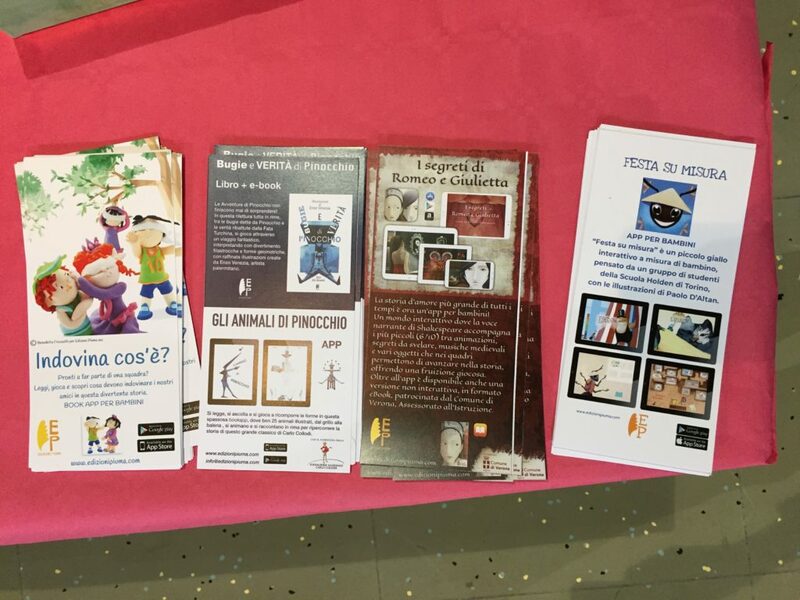 At the end, with Matteo Biagi, teacher and coordinator of “Qualcuno con cui correre” (“Someone to run with”, NdT), and Giuseppe Bartorilla, librarian of the Rozzano Children’s Library, we pleasantly discovered a project for the promotion of reading. Centaintly not to be missed! Well, the written letter was the true protagonist of this event. After all, what would have been better for an afternoon at the library?